Paris is the city of love, the city of fashion, and is also a city where travelers and visitors will find lavish hotels, beautiful Parisian buildings, a nice (or maybe not so nice) Frenchmen. Paris offers a wide range of experiences. From some of the world’s best museums, to Parisian street corner cafés where you can chill and do some people watching while sipping coffee and eating croissants like a real Parisian, and great shopping and sights. The tourist walk: In Paris there are so many essential and important sights to see. Luckily a handful of them are located close, so you can check them all of the to see list within a 30 minute walk. Take the metro to Louvre Museum, where you get off directly on the square that is surrounded by the museum. Here you will find the over photographed pyramids. Walk straight from there and you have the beautiful Jardin des Tuileries, from where all the main sights are located symmetrical (the Obelisque on the Concorde Square, Champs Elysées, and The Triumphal Arch). Walking from the museum to The Triumphal Arch will not only give you a great view on the biggest attractions of Paris, but it is also a great and fast way to see it all. Sacre Coeur: This beautiful church is also a must see when in Paris. The church is located on a hill on top of Montmartre, and even though the walk up hill there is a little tough, it is all worth it when you arrive on top and you see the breathtaking view over Paris and all its white buildings. The Eiffel Tower: Like I wrote about earlier, one does not go to Paris without seeing the Eiffel Tower. Be aware of long queues if you want to go up to the Eiffel Tower. In my opinion it is not necessary making it to the top, seeing the tower from ground level is just fine. Paris offers a great range of food from Parisian little cafés, to fancy restaurants and hip Asian places. Café Charlot – In popular Le Marais, Café Charlot is situated on a street corner, which gives the place the classic Parisian café feeling with tiny tables and chairs put directly next to each other, so you have to squeeze in and sit tight and close to the people next to you. 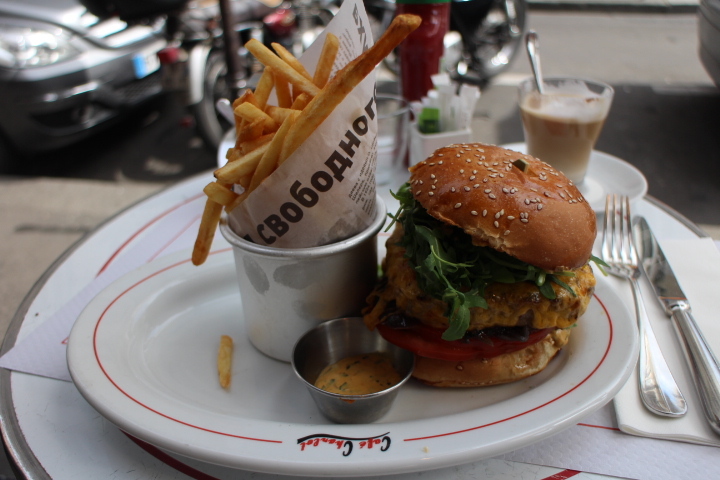 Café Charlot serves classic café dishes and has a good burger. 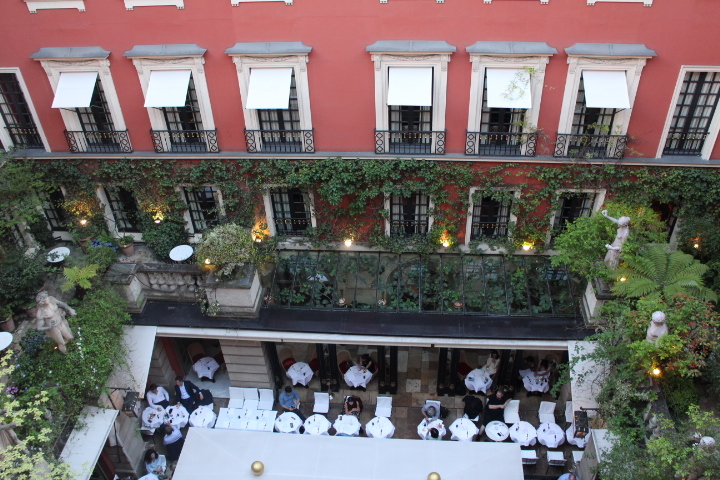 Hotel Costes – Hotel Costes serves as one of the total it-places in Paris. This is where the cool people stay, and the cool Parisians go there for lunch, dinner, or drinks. The beautiful garden invites the guest to enjoy a good time with great food and drinks plus great music played by cool Dj’s. 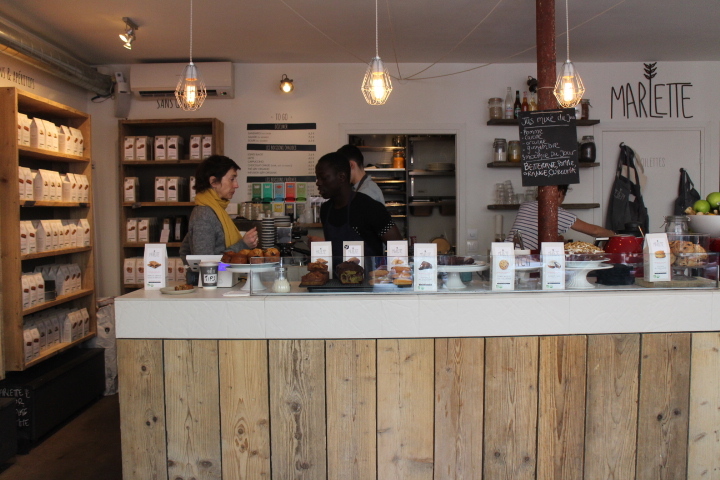 Rose Bakery – In hip and local Pigalle, you will find little Rose Bakery. 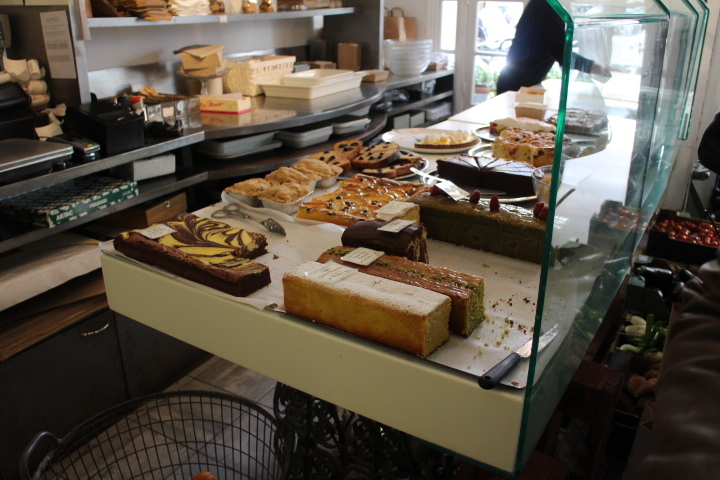 Rose Bakery is great for brunch, and the menu card offers everything from good coffee, poached eggs, healthy fresh juices, different cakes, tarts, and good bread. 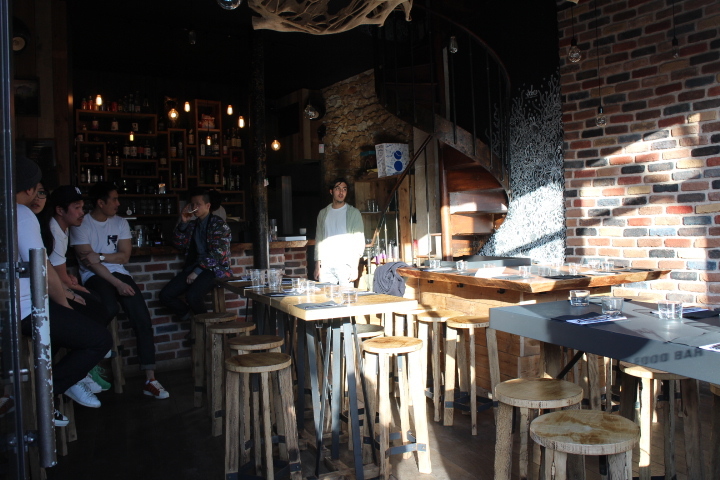 Marlette – Another cool place in Pigalle, where you can find both good coffee, good bread and cakes and brunch. Pick between Marlette’s different brunch plates, that offers something for both the sweet or savory lovers, and they also have a healthy brunch plate, to make everybody happy. 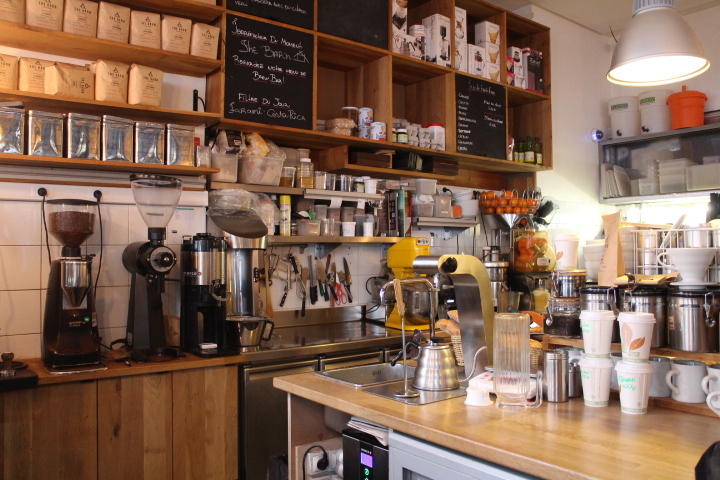 KB CaféShop – If you on your way to Sacre Coeur, you might want to take a break from all the walking up hill and get a good flat white at this coffee specialty café. The café attracts everyone from local Parisians, to coffee lovers from around the world, to tourist that made their where there going to Sacre Coeur. 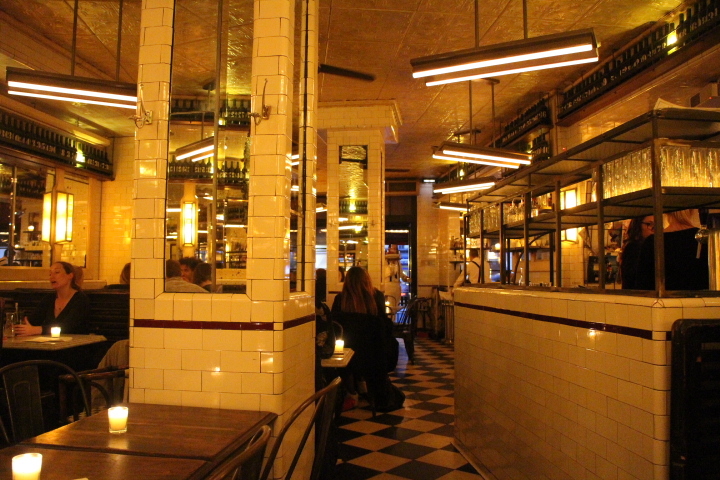 La Favorite – A beautiful Parisian restaurant located on Rue De Rivoli. First of all the La Favorite has great furniture and decoration all in Parisian style shown with metro tiles, benches along the walls, and beautiful tiles on the floor. La Favorite has something for everybody. Croissants, eggs, coffee and orange juice for the morning, snacks and café dishes during the day, good drinks, and French dishes like steak tartar, salmon tartar, and a good, solid burger for the evening. Laduree – Most people know Laduree from Instagram where bags or boxes with the Laduree logo have made their way into thousands of photos. There is more reason behind this than the cute and popular Laduree logo. Their cakes and especially macaroons are great. 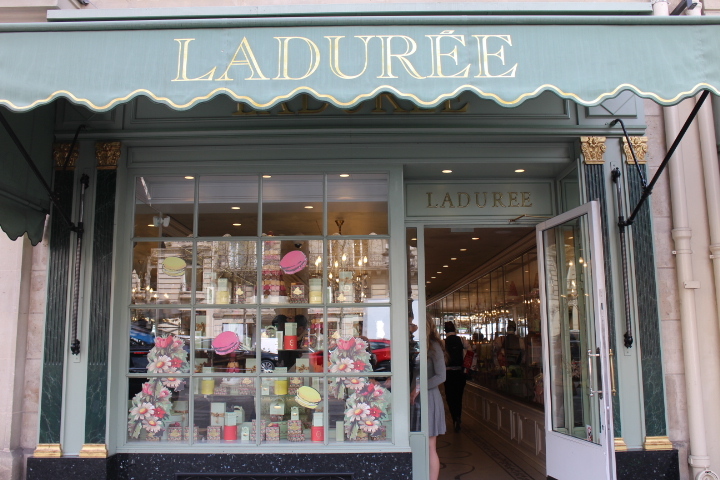 If you want to go all in, you go for tea time in one of their cafés around Paris (the one on Champs Elysées is legendary and has been there forever), and Laduree will give you a real tea house experience. 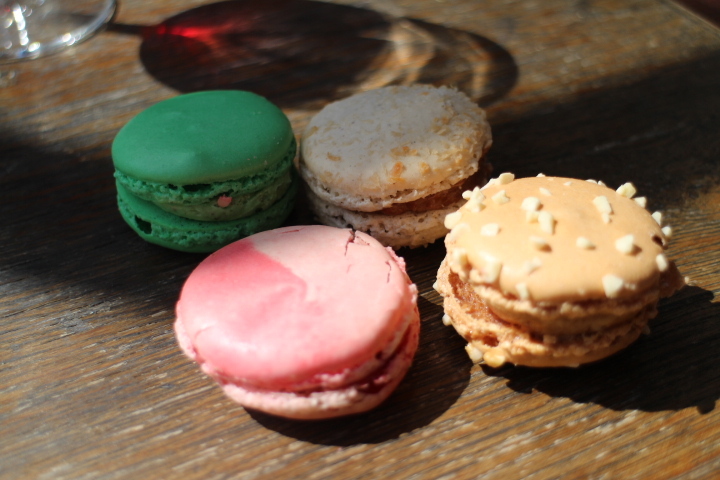 Another way to try Laduree is simply to go and buy a couple of macaroons with your favorite tastes. Siseng – Siseng is a very popular, to say the least, Asian little restaurant situated directly on Canal Saint Martin in Paris. 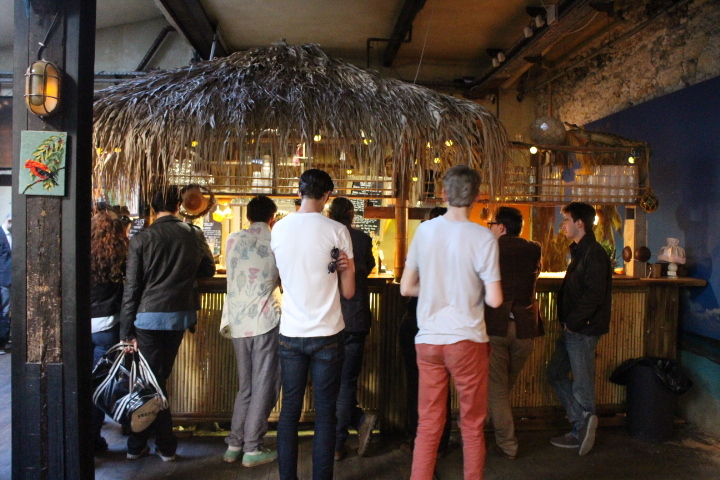 The place is always full, and that is totally understandable, because the food Siseng serves is great. The place as well as the menu card is tiny, but that is just another great thing about the place. 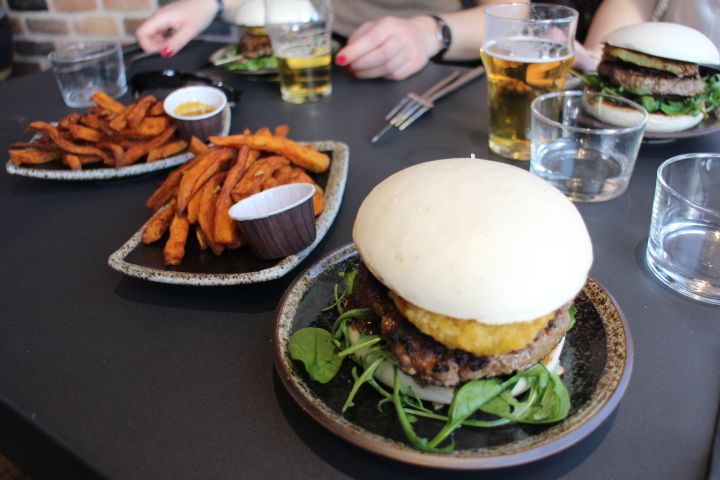 Guests can choose between two different bao burgers, one with chicken, or one with beef, a couple of different snacks like spring rolls and sweet potato fries, or beef and noodles. The place is hip with wooden details and beautiful light bulb lamps, the vibe is great, and the food is yummy! 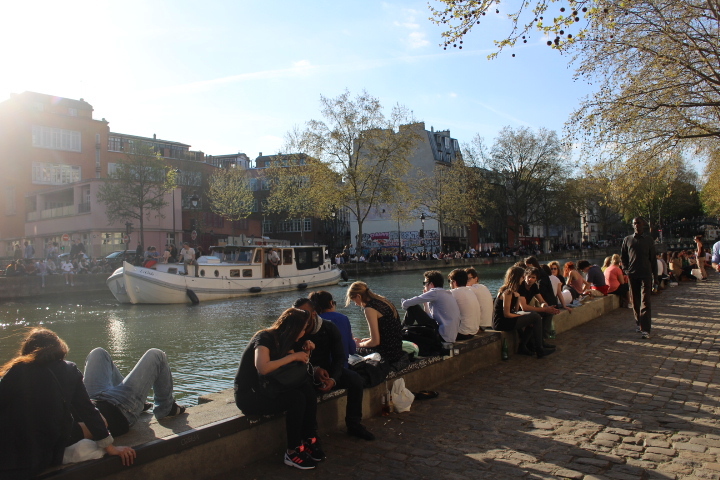 Canal Saint Martin – If the weather allows it, a stroll or a couple of hours of chilling in the sun by the Canal Saint Martin is a must! 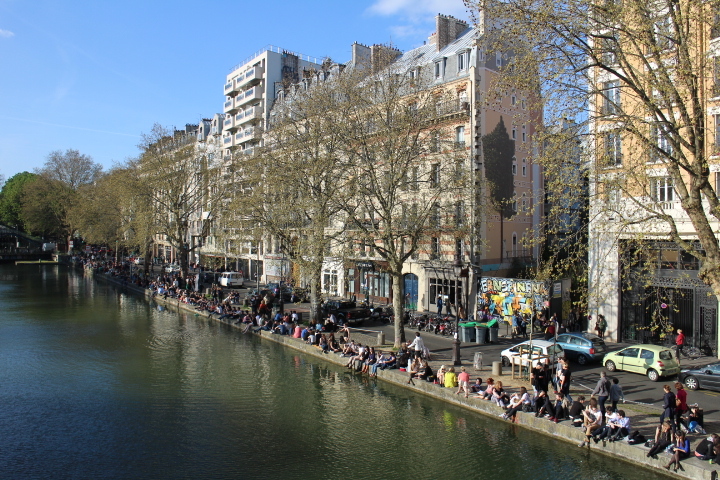 It is places like this where you really feel the city, especially if the weather is good, because young and happy people pilgrimages to sit by the canal and have a good time. 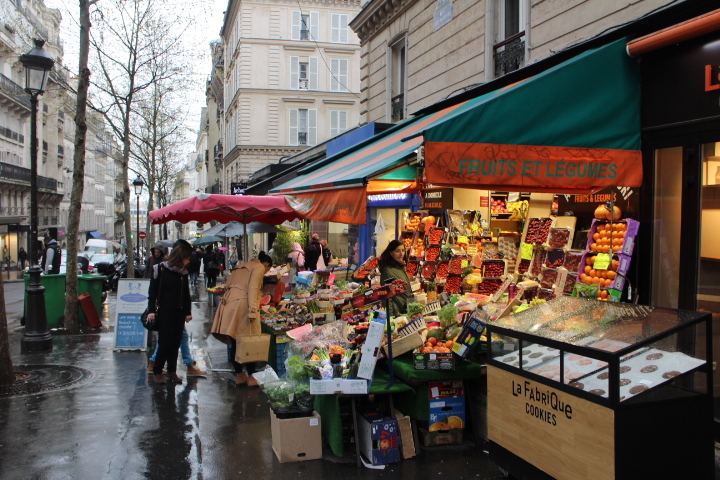 Rue des Martyrs – This is one of the main streets of Pigalle, which personally, is my favorite area in Paris. On this street there are tons of great places like restaurants, cafés, little stores mixed with specialty food stores, flower shops, which gives the street both a local and a cool vibe. 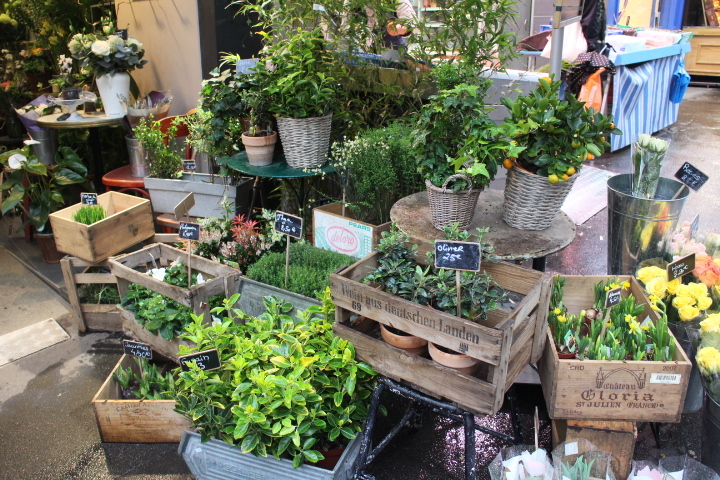 Rue du Fabourg Saint-Honoré – This is the place to go if you are in to do some serious credit card damage. Side by side are all the top fashion stores like Chanel, Valentino, Givenchy, but also the more credit card friendly places like Zara and &Other Stories. A great store on this street is Colette, a concept store, where you can find the coolest clothes, the weirdest shoes, and the funniest stuff like Monchichi key chains, coffee table books, and hip electronic devices. 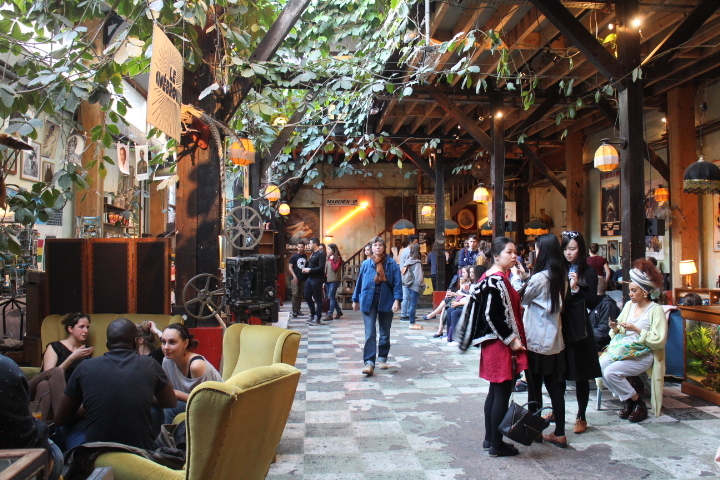 Le Comptoir Général – Also located along the Canal Saint Martin, Le Comptoir Général names itself as being a ‘ghetto museum’. What you will also find here is a bar/café, a nice garden, a concert hall, a museum and gallery. It’s hard to explain what it actually is, but people go here to have fun, drink, listen to good music, talk, and chill.